You will receive (4) 6 oz packages of Soft and Juice Mango. We are delighted to be able to offer Trader Joe's products to customers who don't live near a Trader Joe's store, but we must bulk package these items to be cost effective. These dried mangoes are delicious and a customer favorite. 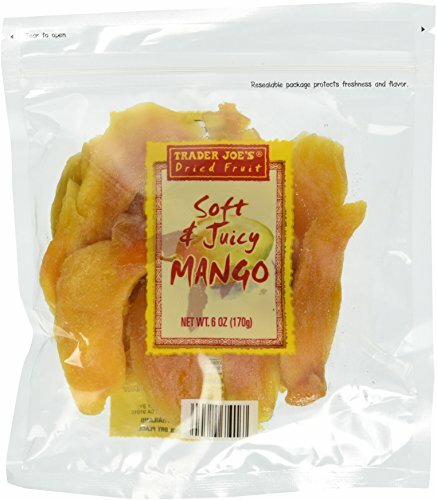 Trader Joe's Soft and Juicy Mango--soft, juicy, delcious mango taste, lightly sweetened. If you have any questions about this product by Trader Joe's, contact us by completing and submitting the form below. If you are looking for a specif part number, please include it with your message.